Monnit has been hard at work developing our MonnitLink™ Ethernet Gateway. The Ethernet gateway allows your Monnit wireless sensors to communicate with the iMonnit™ Online Monitoring and Notification System without the need for a computer. 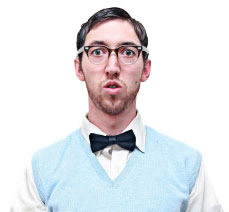 Simply connect the gateway to an available Ethernet port on an internet enabled router. The gateway will automatically and securely connect to the iMonnit servers to communicate your sensor data. The MonnitLink Ethernet Gateway is now available for pre-order. Monnit Sales toll free at 1-877-561-4555. Monnit Wins Honorable Mention at Stoel Rives, Utah Innovation Awards. iMonnit Online System or Enterprise Software? Monnit has made private labeling available for both the iMonnit online wireless sensors portal and the Enterprise server edition. 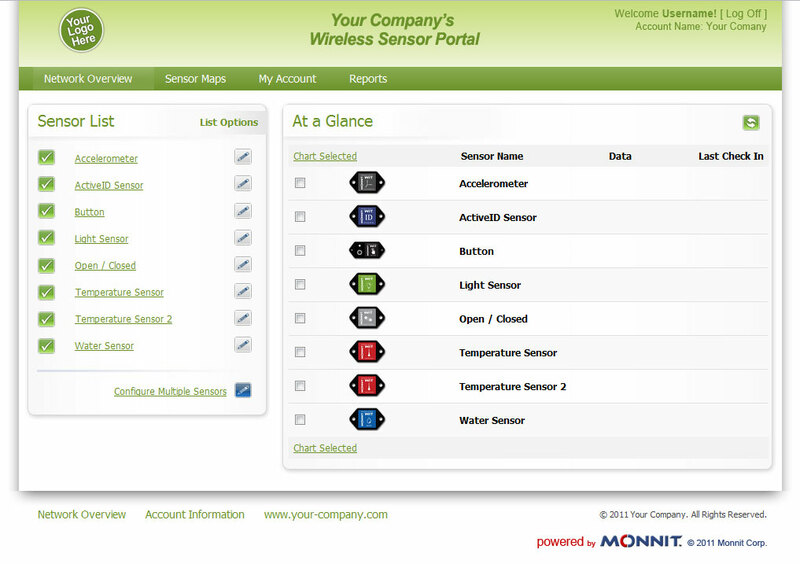 With private labeling of our system, you now have the ability to make your wireless sensor portal match your company's brand. For more information on private labeling the iMonnit wireless sensor monitoring system, please call us toll free at 877-561-4555 or email sales@monnit.com. 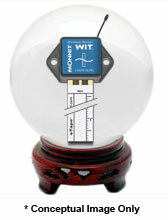 If we look into our crystal ball we can see a new wireless sensor being developed. 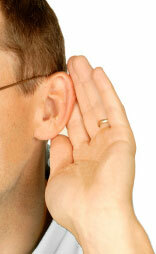 The Monnit team has been hard at work developing new wireless sensors based on customer feedback and requests. We are proud to say that the Monnit Liquid Level Sensor is almost complete. The liquid level sensor uses a liquid sensitive ribbon sensor to determine where the level of a liquid is in a container. Simply attach the ribbon to the side of your tank or reservoir and the sensor will track the level of the liquid contents and alert you if the level is above or below a set threshold. If you have any questions about this new sensor, email us at devteam@monnit.com. Using wireless sensors to monitor pharmaceutical refrigerators. With Monnit wireless sensors you can ensure that medications, vaccines and other pharmaceutical products have been maintained under recommended storage temperatures. It can be expensive if a pharmaceutical refrigerator fails but Monnit provides the solution. With Monnit Wireless Temperature Sensors you can have 24/7 monitoring of your refrigeration units and be notified immediately if there is an issue. The monitoring system will also track temperature data for you and provide a detailed report as well as spreadsheet export functionality. 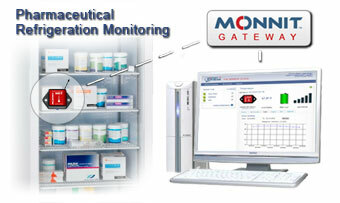 Enjoy the peace of mind that comes from using Monnit wireless sensors to help manage your pharmacy. What does the "x" mean next to a sensor name in the monitoring software? When using the iMonnit User Interface or Monnit Express software, you may notice the "Edit" icon change to show a small red "x" in the bottom right corner. The "x" signifies that a sensor configuration has been changed in the software and is queued to update the sensor hardware configuration on its next heartbeat. Once a sensor's configuration has been changed on the wireless sensor hardware, the icon will change back to it's original form. When a sensor has configurations waiting to be written to the hardware, some items may be grayed out in the configuration panels. If an item is grayed out, it means that sensor configurations affecting that value are waiting to be written and the value can not be modified until the sensor hardware has been updated. If a sensor's "Edit" icon does not return to its original state, it can be caused by any of the following. Because Monnit sensors are battery powered it is critical that the radio remains inactive between transmissions to conserve power. If transmissions from the sensor are increased and left listening for continual communication, the battery life is severely impacted. This forces the software to pass sensor updates to the sensor only after the sensor has turned on its radio and listens for an acknowledgment. During the acknowledgment, the gateway will notify the sensor that the software has a configuration update and from there the network can communicate the updates to the sensor. At this point the sensor acknowledges the configuration update and the software marks the transaction complete (removing the pending transaction flag). If a sensor is out of range from the MonnitLink Wireless Gateway, communication with the sensor will be lost until it has returned within range. Once the sensor is within range it should automatically update on its next heartbeat. If it does not, you may need to locate the sensor and power cycle it by removing the battery, waiting 30 seconds then re-inserting the battery. Out of the box, MonnitLink wireless gateways are configured to communicate with the software application once every five minutes. (It uses the same communication protocol as your web browser does while communicating to your bank.) Because of the five minute gateway heartbeat, there is a lag (delay time) between the time the user saves the configuration settings in the software and the time the gateway receives the updates. After the gateway has acknowledged the updates they are queued to update during the sensor's next heartbeat communication. Once the sensor receives the configuration update it will communicate the success back to the software, which will mark the "Pending" transaction as complete returning the "Edit" icon to its original state. All trademarks are property of their respective owners. © 2011 Monnit Corp. All Rights Reserved.